While I love hearing and learning about the next new thing in makeup, I don't like to give into the hype and temptation right off the bat. I'd rather sit back leisurely and watch the hype build up before it all settles back down. That's when I take the plunge on my own. I do that with a lot of things besides makeup. But the hype of the Tarte Shapetape concealer hasn't stopped...which ended in me giving into temptation...and I'm not even sorry about it...even as I roll my eyes at myself again. Aside from trying to find the perfect pair of Chelsea boots (Size 11 in black, please), I'm always looking for the best shampoo to keep my fine and oily hair clean for more than one day. Drybar helped me find the best dry shampoo to fake my clean hair days. 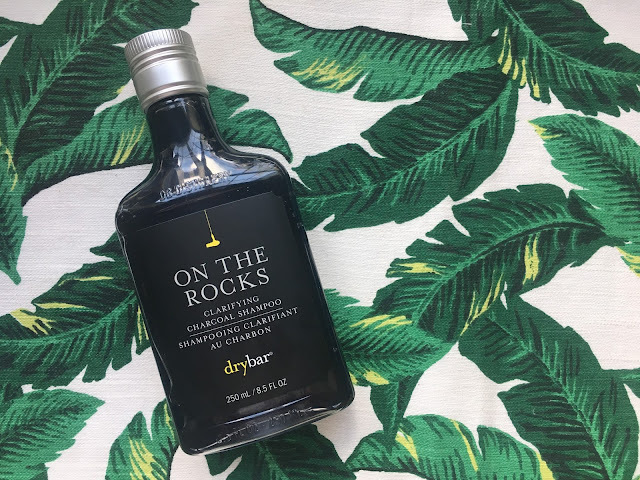 They did it again with their new On the Rocks Clarifying Charcoal shampoo that actually keeps my hair cleaner for at least two to three days. Drybar could sell their products just by the names of their products and how cute everything is. I'm all about some visual marketing and aesthetics around here. You know how there are people out there that can't stop buying certain things? Like mugs (okay me), shoes, jeans, cats, I don't know but we all know someone like that. Mine is body washes. 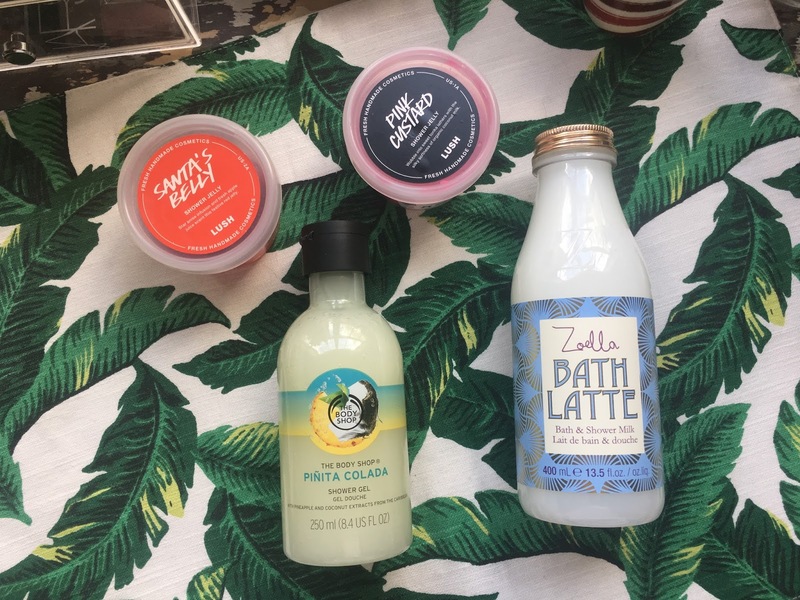 I flippin' love a good body wash over a plain bar of soap any day. Also soap freaks me out for some reason...I digress. Body washes are so much easier to use too. I just pop open the cap, pour some on my loofa (currently light green), lather up and just like that, I'm clean and left with my scent of choice lingering around me. I love them and their practicality, and most of all, their scent.